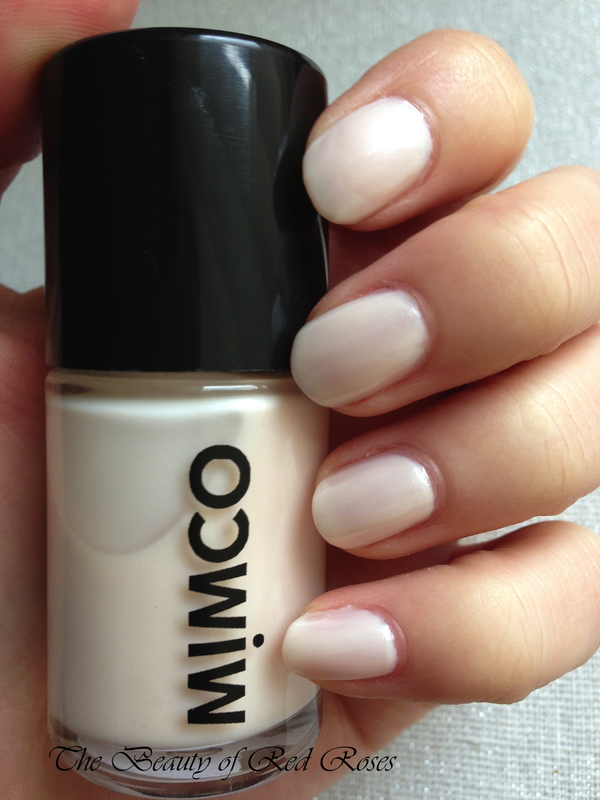 MIMCO Nail Polish in Off White. 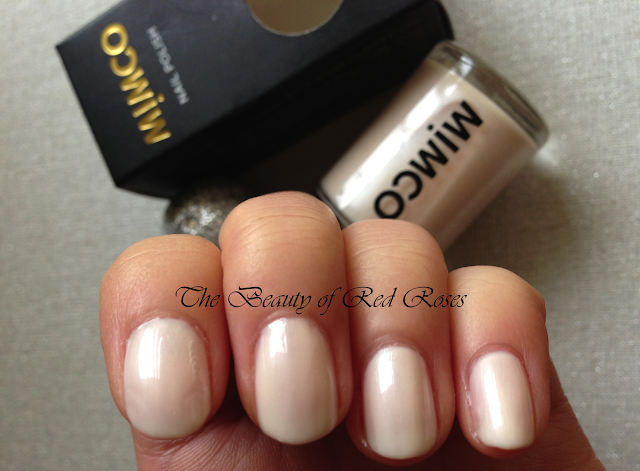 I am quite the indecisive type and when I become lost in choice when it comes to getting a manicure, I would usually opt for my MIMCO Nail Polish in Off White (A$15.95/13ml). 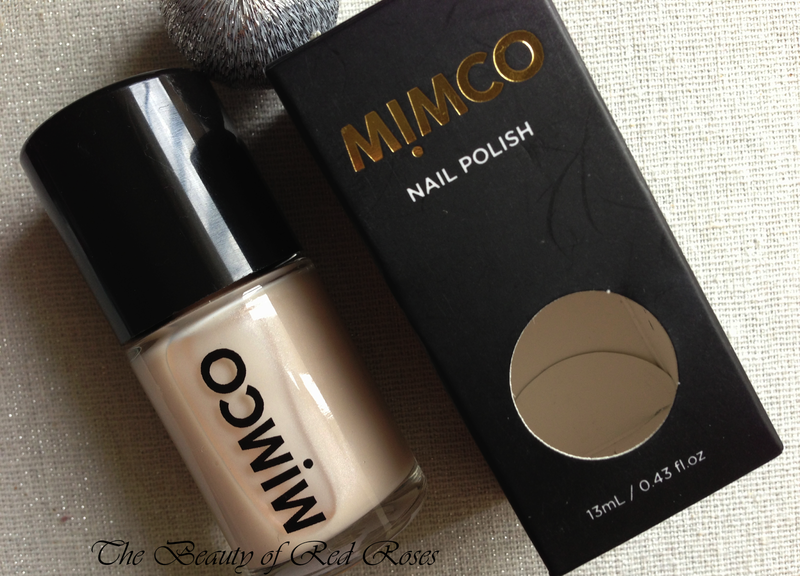 Around a year ago, MIMCO launched a modest new range of beauty products, including bronzing powder, lipstick, lip gloss and of course nail polish! Most of these beauty products have sold out during recent sales and I was lucky enough to get my paws on the shade Off White for a measly $5! The packaging of the bottle is quite simple and the applicator brush was reasonably sized and soft for smooth application. Off White is a piano white shade with subtle silver shimmers to give a lovely pearlescent finish. Although the consistency and texture is relatively sheer though not too thick nor thin, at least three coats are needed for a complete opaque finish. 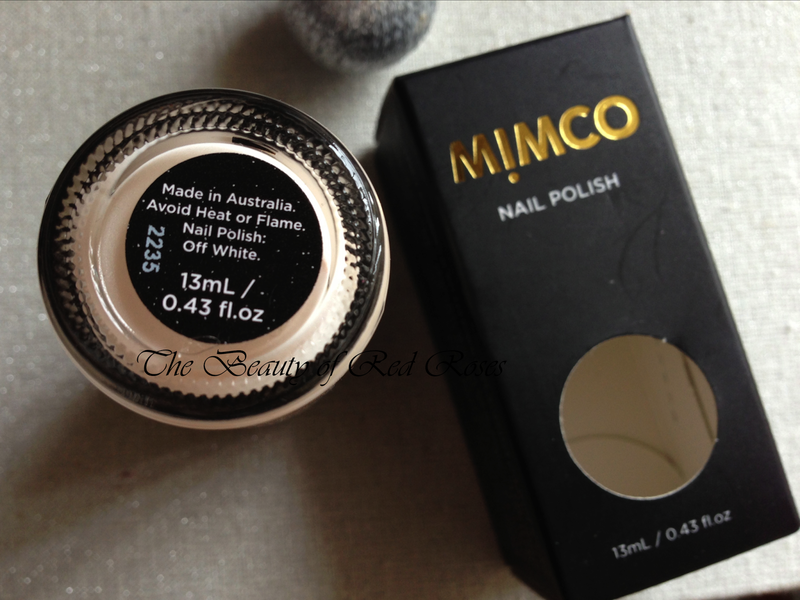 I really love this shade because it gives a gorgeous elegant look and it suits any occasion! 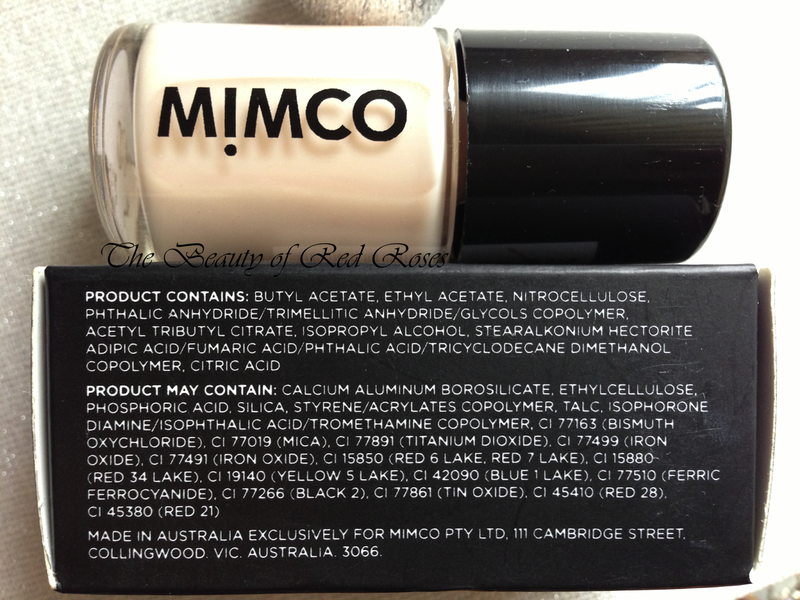 The formula is free from the big 3 (Toluene, Formaldehyde and Dibutyl Phthalate) and made in Australia! It's not often that I come across nail polishes that are made in Australia! The formula is of great quality and the longevity is just okay. I noticed that the nail polish started to chip after the second day and this was the result of applying the shade Off White three times without a top coat. Which nail shades do you often wear? Are you a fan of MIMCO nail polishes?